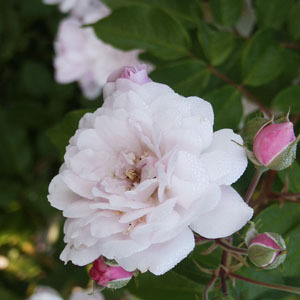 The original Noisette rose, raised before 1817. Forms a loose bush that takes well to pruning or can be trained on a trellis up to 12'. The clusters of fragrant, clove scented flowers are light pink and produced all summer and fall. A favorite of Thomas Jefferson.